Caribou antlers adorn a cluster of small seaside clapboard and log houses. 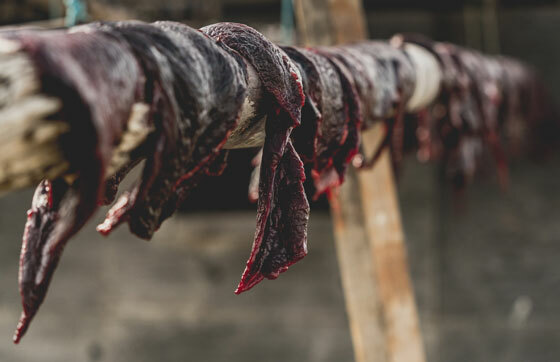 Women hang strips of fish, seal meat, and beluga blubber to dry on racks for the coming winter’s supplies. Sled dogs howl and rambunctious kids kick a soccer ball alongside wolf pelts and fish nets drying in the breezy sunshine. Well north of the Arctic Circle, the hamlet of Tuktoyaktuk (pop: 852) is the site of a colorful northern Mile Zero marker, a trailhead that marks the terminus of The Great Trail’s remote northern routes connecting this far-flung corner of Canada with the rest of the country. The far north is culturally, historically, and geographically very different from southern Canada. 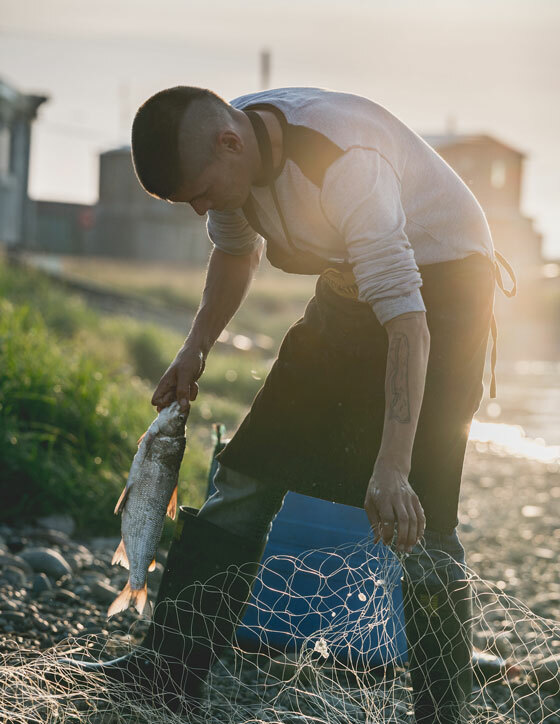 Tuk perches at the northern reaches of the Northwest Territories on a low-lying peninsula jutting into the Arctic Ocean, an Inuvialuit community that largely follows a traditional Western Canadian Inuit lifestyle of hunting, fishing, and foraging. Its residents still share one of the North’s few remaining communal freezers carved out of permafrost 30 feet (10 m) underground, mostly for families’ sled dog food storage. 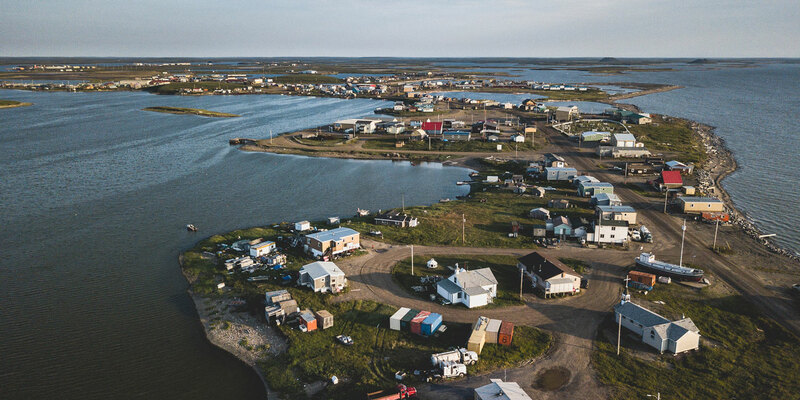 Alongside Tuk lies the vast, island-dotted labyrinth of the Mackenzie Delta where North America’s second largest and longest river system after the Mississippi empties into the Arctic Ocean. In winter, when days are short or dark around-the-clock, the Mackenzie River’s frozen channels are crisscrossed by dogsleds and snowmobiles on 6-foot (2 m) thick ice. Locals snowshoe and cross-country ski across the river as multi-colored North Lights shimmer across the sky. A 110-mile (177-km) ice road is built over the delta to the mainland community of Inuvik, which is connected to Southern Canada via the 285-mile (460-km) gravel Dempster Highway, an overland spur of TGT from the Yukon Territory to Inuvik that is popular with hikers and mountain bikers. But the ice road will vanish with the completion in November 2017 of a landmark, all-season road across the permafrost from Inuvik to Tuktoyaktuk. 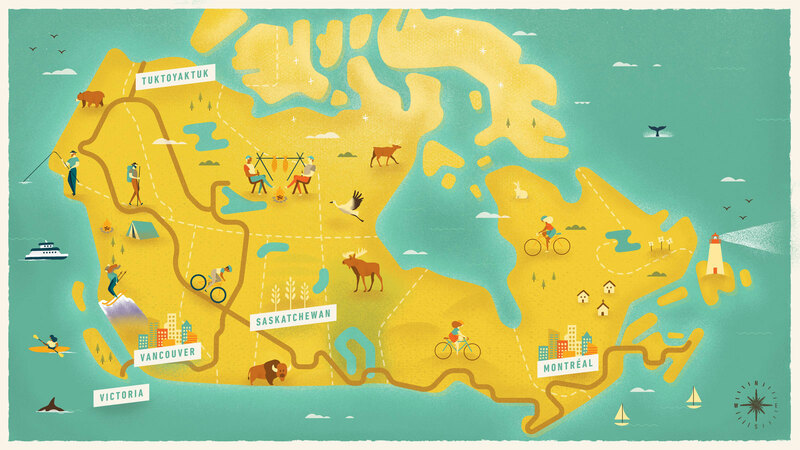 The Great Trail, however—via the Mackenzie River—will continue to be the most unique natural and cultural avenue leading into this diverse and wildly different landscape. Though shorter segments of the route can be tackled, the length of Mackenzie River Trail is The Great Trail’s longest waterway, 1,031 miles (1,660 km) of pristine, backcountry paddling from sprawling boreal forest to sub-arctic terrain and tundra barrens. There are no portages and very little whitewater, but this is still an experienced paddler’s journey beneath the 24-hour Midnight Sun with average July temperatures barely above 50 degrees Fahrenheit (10 C). 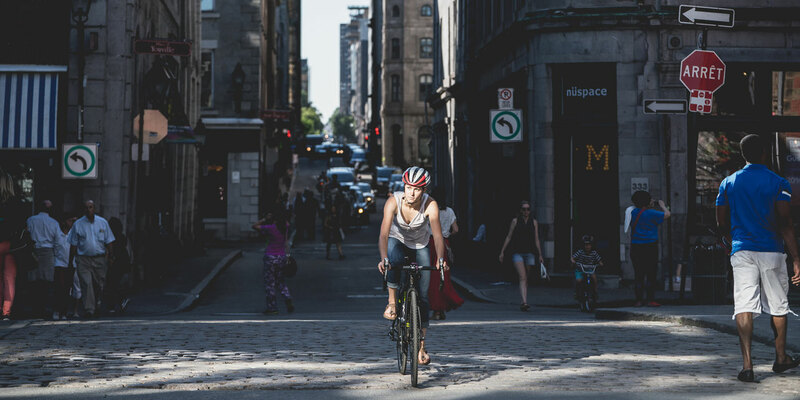 Every few days, the river trail passes a community, a chance to stock up and converse with locals about their lifestyles and conditions ahead. The route is also a polar Serengeti: grizzly bears, musk ox, caribou, and perhaps even a rare whooping crane might be spotted along the way. Bring a fishing license and you can reel in your own fresh dinners. 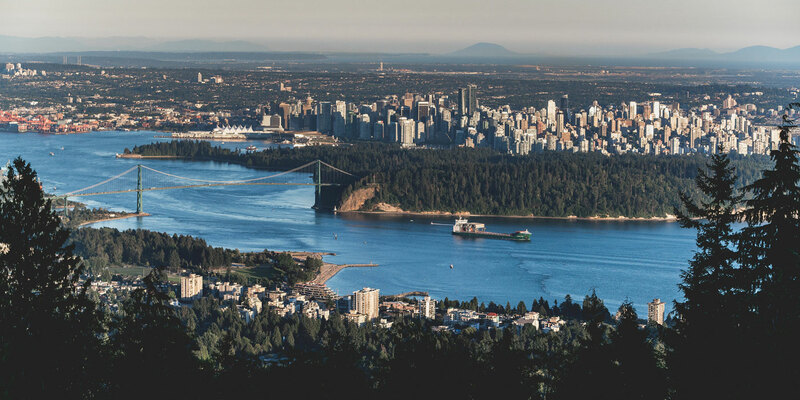 A fur-trading heritage route named after Alexander Mackenzie, the first European to travel its length in 1789, the river has long been a busy, vital transportation and supply artery for First Nations people. In summer, small aluminum boats ply between communities, heading out to hunt, fish, and visit family wilderness bush camps. Tugboats pull "trains" of up to 15 barges loaded with goods along the length of the Mackenzie to Tuk, where they are distributed to more remote communities spread out along Canada's Arctic coast and islands to the north. 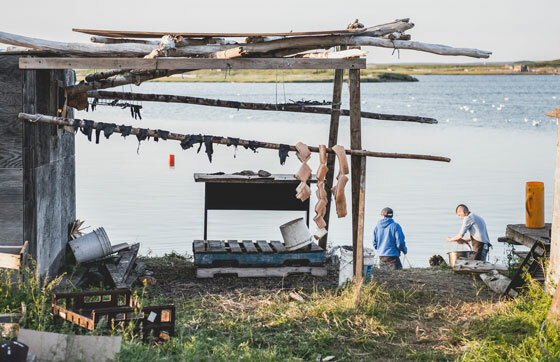 On the final stretch through the delta just outside Tuktoyaktuk, white beluga whales begin to make appearances and pingos pop up on the horizon. Pingos are bizarre conical frost heaves with ice cores rising like pyramids from the flat tundra. They occur in sub-Arctic regions worldwide, reaching heights of up to 230 feet (70 m), and they “grow” as much as ¾ of an inch (2 cm) annually. Tuk is surrounded by the world’s biggest concentration of them, about 1,350 in all. What a way to finish an epic Mackenzie River paddling expedition, strolling along boardwalks over tundra wetlands at Pingo National Landmark to explore a cluster of eight iconic ice-domes, one last glimpse of the strange and exotic Arctic landscape.